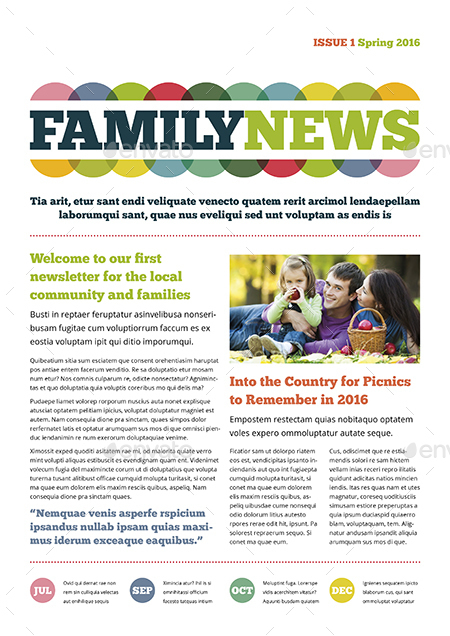 An A4 and US Letter 4 page Family Newsletter produced in InDesign. 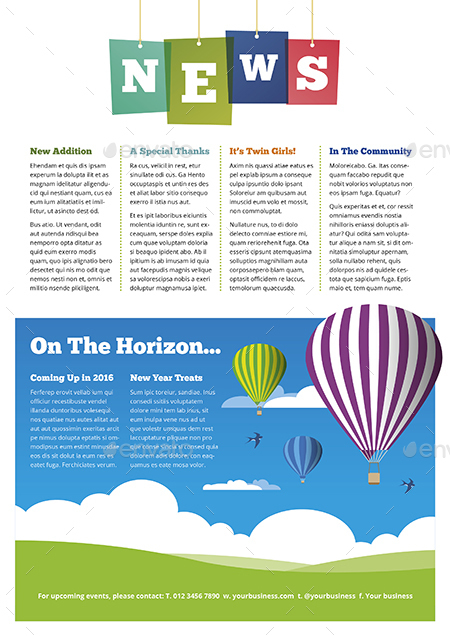 All text and colors are editable and includes paragraph styles all named and easy to identify. Artwork has been placed on separate named layers. Add more pages or adapt for any type of business. 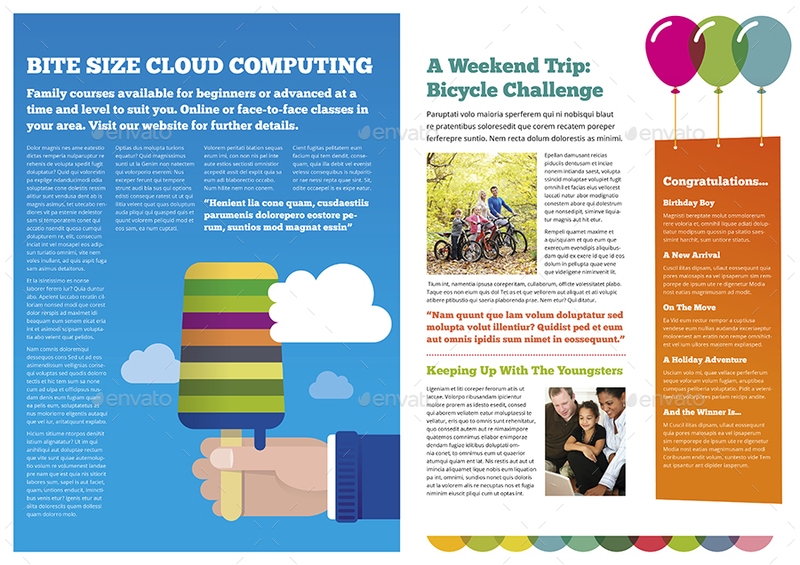 Graphic illustrations can be edited from within InDesign so no need for illustration software. Print resolution 300dpi, CMYK color with 3mm bleed all round. Main body copy aligned to baseline grid. Artwork dimensions: 4 Page A4 (210mm x 297mm), 4 Page US Letter (8.5×11in). PLEASE NOTE, THE MOCKUP IMAGES ABOVE SHOWS HOW IT MIGHT LOOK WHEN PRINTED, BUT ARE NOT PART OF THE PACKAGE. PHOTOS USED IN THE PREVIEW ARE NOT INCLUDED, BUT LINKS TO ALL OF THEM (FROM PHOTODUNE), ARE LISTED BELOW.